Every aspect of Workforce Dimensions™ — the underlying architecture, integration, use experience, functionality, data access, delivery, and support — is designed to help you optimize your people. Powered by the industry-first Kronos D5™ platform, Workforce Dimensions provides a breakthrough employee experience and an unprecedented level of operational insight into your workforce management practices. Whether your goals are to increase productivity, improve compliance, control labor costs, or achieve better business outcomes, Kronos provides the technology tools you need to manage your workforce of the future today. As the enterprise leader in workforce management applications, Kronos understands the need for strong integrations between software applications. That’s why we’ve built a robust developer portal with access to our API layer. The Workforce Dimensions Technology Partner program is designed to facilitate this interoperability and drive business results. 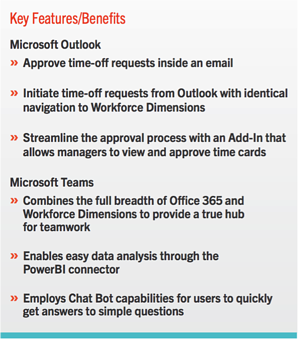 The integrations between Microsoft Outlook and Teams to Workforce Dimensions will save time for employees and increase collaboration. Outlook is a foundational component of most corporate environments, and an employee’s ability to perform common tasks like submitting time-off requests and approving time cards directly from within the application will drive employee productivity. The Outlook Add-Ins will have the same user experience for submitting a time-off request, but allow you to do it from your primary email application with just a couple clicks. Equally important is the manager’s ability to review and approve the time-off request, which can also be done from this Add-in. Less time navigating between applications equals more times that managers can spend with employees, customers, and driving their business objectives. The integration from Workforce Dimensions to Microsoft Teams is an entirely new experience that brings together people, conversations, and content so they can easily collaborate to achieve more. By leveraging familiar Office features and applications, Dimensions creates a more open, digital environment. Work becomes more visible. Managers are no able to look at a weekly schedule and see any open shifts that need to be filled and easily chat with employees to fill that shift. They can now also leverage the PowerBI connector to easily export data from Workforce Dimensions to Microsoft’s PowerBI for data exploration and visualization. Employees are able to ask their Manager questions via chat - making it extremely easy to communicate vacation hours or when your last time clock punch occurred. All of these changes were designed to create an application that ensures streamlined communication throughout the workforce. 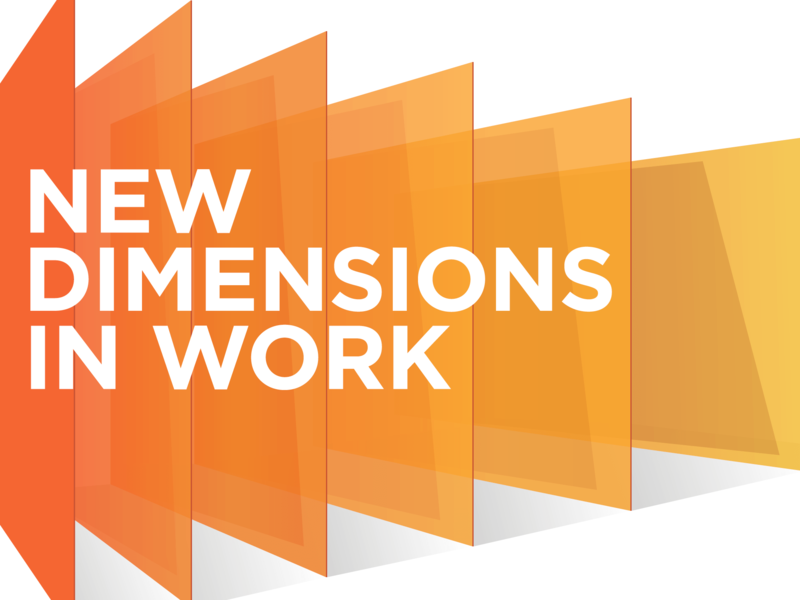 Are you considering Workforce Dimensions? Dimensions is right choice for your workforce.